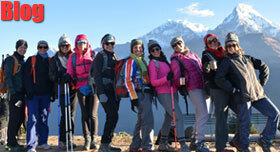 Nepal walking holiday tour w/ day hikes for seniors, age 50 and above. 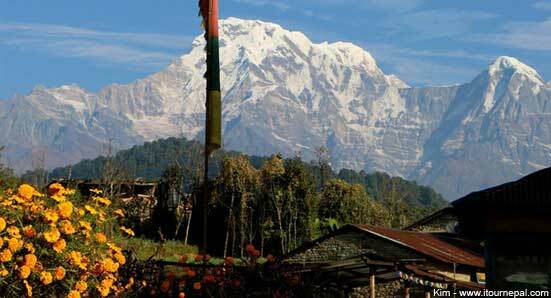 Annapurna South from a mountain resort. Comfort and age is not barrier for your Himalayan dreams. We are specialized in customizing active holidays in the Himalayas with comfort lodges / resorts. 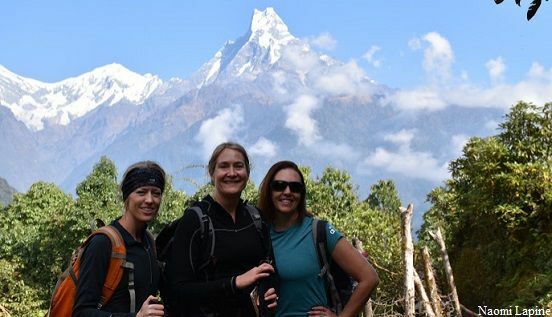 Nepal walking holiday is gentle walking tour in the foothills of the Himalayas with luxury lodges / resorts to rejuvenate at the end of the day. 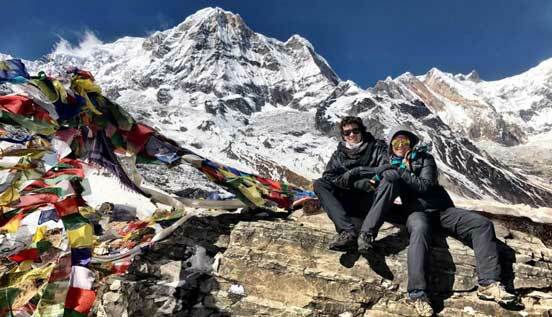 We will make scenic places like Pokhara and Dhulikhel as our base allowing you enough time to relax, go on cultural exploration or local sightseeing between easy day hikes. The Nepal walking holiday could be customized as senior vacation in Nepal for the age 50 plus. Difficulty: Easy to Moderate with 4 - 5 hrs of gentle walking. Easy to moderate day hiking in the Himalayan foothills. Active holiday with comfortable resorts or luxury hotels. Suitable for senior citizens and family with kids with the comfort you deserve. Our represent will be waiting at the airport with your nameplate. After formal meeting drive to the hotel we have booked as per your consent. We will give you choice of exquisite hotels within your budget while booking the Nepal walking tour. 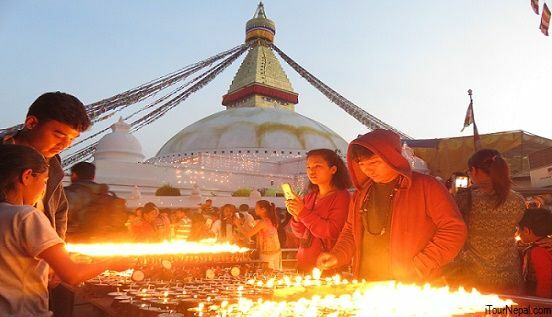 Kathmandu, the bustling capital city of Nepal at present is melting pot of several culture. Amid modern malls and eateries, groups of temples, pavilions, monasteries and stupas are still venerated with great zeal. After breakfast we will set out on a walk with a local guide. We will walk through the alleyways of old Kathmandu discovering some of the hidden stupas and temples less visited by tourist. Follow the ancient trade route from the farmers market of ‘Ason’ to the palace square of Kathmandu (Kathmandu Durbar Square). Kathmandu Durbar Square is the complex of medieval buildings with beautiful carvings and marvelous architecture. Later walk to the southwestern end of the ancient trade route and drive to Swyambhunath Mahachhayte on the hillock 70 m above Kathmandu. We will drive 135 km / 4 hrs on Kathmandu – Pokhara highway to the highway town of Dumre. As we snake along the mountainside, snow peaks appears atop lush valley dotted with farming terraces and charming villages. We will drive down to the valley basin and cruise along until Dumre. From Dumre we will climb 7 km up the ridge to Bandipur. Bandipur is reminiscence of medieval hill town on the trans-Himalayan trade route. The main town of Bandipur is concentrated along the cobblestone street with Newari style (ethnic group aboriginal from Kathmandu) brick and wood shop houses. Looking north, the far reaching Marshynagdi valley is walled with soaring snow peaks of Annapurna, Manaslu and Ganesh Himal ranges. Walking around, one can observe terraces teaming with seasonal crops, self sufficient village houses with cornstalk, livestock, haystack and garden with supply of seasonal vegetables, fruits and spices. We can visit the silk farm and climb to the hillock for sunset view over the Himalayas. After breakfast we will drive down to the highway and head north towards Pokhara. Begnas lake is about 87 km from Bandipur and 35 km southeast from Phewa lakeside, Pokhara. The lake is visited by fewer tourists and has more intact natural ambiance. Begnas lake is the second biggest lake in Pokhara valley with the area of 3 sq km. The hillock between Begnas and Rupa lake has thick woods with over 250 bird species. In the late afternoon we will walk along the ridge to the coffee farm and collection center. Across Begnas Lake one can see panoramic view of snow peaks with lush subordinate hills. Begnaskot is a 1,200 m hill north of Begnas Lake. The Begnaskot walking will take about 5 hrs and we will gain the altitude of 500 m. We will follow a dirt road along the terraced paddies climbing gradually for the first half of the walk. Then an hour’s climb on stone steeps takes us to the hilltop fort (now temple of goddess). You either follow the ridge and walk around the lake or climb down to the lake and take a boat across. Check out the hotel in Begnas lake and drive for about 1 hrs to Pumdi village in the southern ridge of Pokhara. We will follow the dirt road passing through charming villages with thatch and slate roof houses. Viewpoints along the ridge uncover magnificent view of Phewa lake and snow peaks towards north. After four hrs of easy walk, we will arrive to World Peace pagoda. After having picnic lunch, walk down to the Phewa lake and take a boat across to the hotel. Drive for about 40 mints to the western valley rim of Naudanda. Naudanda is also a Himalayan view point. We will walk on the dirt road for about 4 hrs to Sarangkot. Sarangkot is famous sunrise view point. 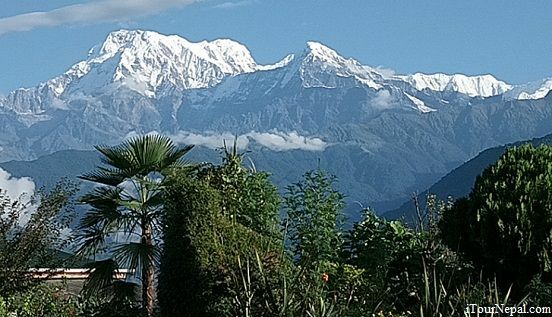 The ridge is overlooking at Pokhara valley with northern wall of snow peaks. You can either walk down to the Phewa lake of drive back to Phewa lake from Sarangkot. Walking down to the lake will take about 1 and half hrs down the stone steps. We will fly back to Kathmandu after spending another beautiful morning in Pokhara. The 25 mints flight is one of the best Himalayan sightseeing flight as we swift along Annapurna, Manaslu and Ganesh Himal ranges. At Kathmandu airport you will meet our guide with whom you will drive 12 km east to Bhaktapur. Bhaktapur is the most exquisite of three cities in Kathmandu valley. We will walk through the backstreets of Bhaktapur known as living museum as it still retains its practices and lifestyles intertwined with medieval architecture. This Tantric Hindu city has four major squares with beautiful pagodas, palaces and other monuments. After lunch drive 18 km north to Dhulikhel. 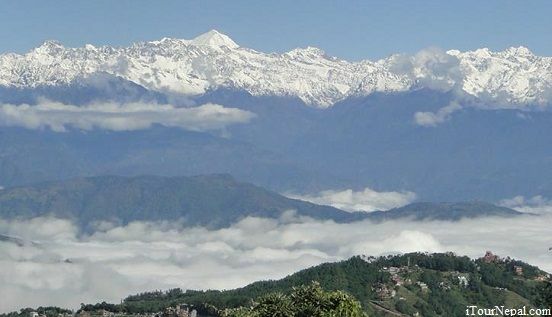 Dhulikhel is a famous hill station overlooking at the eastern Himalayan ranges. We will drive for about 20 mints to Kavre Bhangyang and then start walking through pine forest. The trail climbs for about 120 m to the ridge with a village temple of goddess and then gradually passer through village for about 1 and half hours. We will finally meet the dirt road with occasional motorbikes and cars plying on. It will take about 1 more hrs to get to Namo Buddha. Namobuddha is one of the important Buddhist pilgrimage sites. This is where one of the Bodhishattva (Buddha to be) sacrificed himself to feed nourishing tigress. A stupa has been built with his relic. From the 1,750 m hill top, one can see long stretch of the central Himalayas. Walk back to the pickup point after lunch. 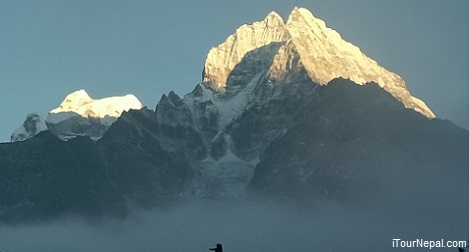 Short cultural trek could be organised in the Everest National park based on comfort or luxury lodges. This moderately difficult trek makes a great walking holiday. Chitwan National Park is where the last numbers of Single horn rhinos & Tigers thrive. Bhutan walking tour takes you to the unexplored countryside, monasteries and villages. Experience the unspoiled Bhutanese culture and pristine nature accessed only on foot.